CBD vs THC Differences - Is it a Rivalry or Perfect Match? Home Educational CBD vs THC Differences – Is it a Rivalry or Perfect Match? CBD vs THC Differences – Is it a Rivalry or Perfect Match? The battle between the phyto-cannabinoid superstars seems to be only surface level. CBD vs THC, now that’s a battle between arguably the strongest compounds in cannabis. But what about the other couple hundred? The MANY that were just discovered within the past couple decades? 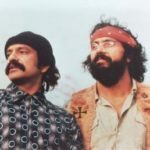 This article doesn’t touch on CBD and THC’s supporting cast, but, rather, focuses on the rock stars of the ensemble, that being, THC and CBD. THC, also known as Tetrahydrocannabinol, seems to be making all the recreational headlines for cannabis. Both good and bad. While, CBD, acting as its brake system, is creating just as much buzz, but MUCH more in the medical community. But, how do these two heavyweight phyto-cannabinoids stack up against each other? Let’s take a deeper dive into the differences of CBD vs THC, the heavyweight battle in the world of marijuana. ROUND 1 – What is THC and CBD? Before we compare the both, let’s take a look at CBD and THC individually. And yes, there’s a lot more to them than just a psychoactive high and munchies. As pleasant as they are. Tetrahydrocannabnol or THC, is probably the most researched, yet scrutinized compound in cannabis. Figure 1: A close-up image of Bubba Kush, an indica dominant cannabis strain. Here you can see a clear view of the plant’s trichomes, the crystal-like region where phyto-cannabinoids are produced. This resin coat is what makes weed sticky, and it’s what produces cannabinoids like THC, the psychoactive ingredient in marijuana. Discovered in 1964 by Dr. Raphael Mechulam, an Israeli based organic chemist, THC is the molecule in cannabis that’s primarily responsible for its trademark “high” or euphoric-like effect. Or in other words, it’s largely responsible for cannabis’ psycho activity. Both mild and refreshing on one end, and potentially comatosing on the other. Hence, the experience of too much edibles. When we consume cannabis in its MANY forms, THC is introduced into our brain chemistry by stimulating certain brain cells, thereby, releasing a pleasure molecule called dopamine, along with activating brain receptors in all sorts of other ways. This rush of dopamine in tandem with the activation of certain brain receptors goes on to affect our thought process, perception of time and memory functions. Just to name a few. Related: What is THCA – a Medical Breakthrough? CBD on the other hand, creates just as much psycho active effects as your delicious anti-oxidizing morning tea. 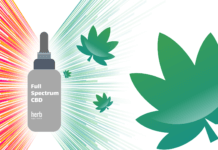 Although its main functions are still being researched, some of CBD’s characteristics are already determined, with one being its role in helping generate, or boost, the amount of endo-cannabinoids we have in our system. This is unlike THC, which instead mimics the behaviour of such endo-cannabinoids. If you’re not familiar, we all have an endo-cannabinoid system (ECS) that uses naturally produced endo-cannabinoids to create balance for many everyday vital processes. If we’re in short supply, phyto-cannabinoids like THC can help by playing a replenishing role, thus regulating our ECS. More information about the ECS and it’s responsibilities can be found here. In addition, CBD also plays the role of making endo-cannabinoids more tough, giving our bodies a harder time to break them down. This proves beneficial, as it helps our ECS better utilize the magic of endocannabinoids, thus improving the ECS’s role of regulating essential bodily functions. So in other words, CBD helps regulate the regulator, that is, our ECS system. The bout between CBD vs THC continues to show in numerous more ways, especially, in how they both interact with each other. For instance, THC binds well with the brain receptor CB1, while CBD binds well with the CB2 brain receptor. Where THC goes too far, having adverse effects like anxiety, paranoia, tachycardia, and, even psychosis in large doses, CBD plays the mediator role, reducing and minimizing these same adverse effects by blocking CB1 receptors. So coincidentally, the clash between CBD vs THC is clash that works out quite well for our biology, making the two more like a dynamic duo than a fierce rivalry. Take Sativex, the FDA approved mouth spray used for treating multiple sclerosis (MS) for example. This drug contains a 1:1 ratio of CBD to THC, meaning, it has equal amounts of each. 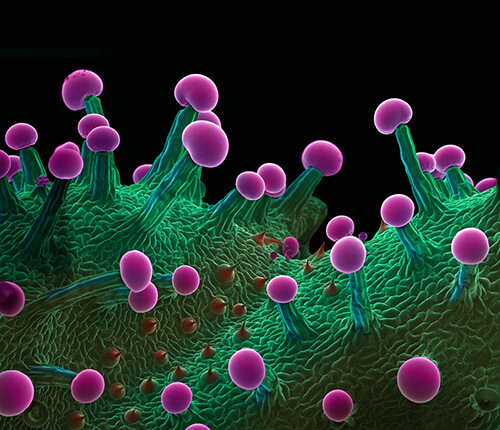 Figure 2: An even closer look of the surface of a cannabis plant using a microscope. Trichomes are glandular cells that host cannabinoids, terpenoids and flavanoids. 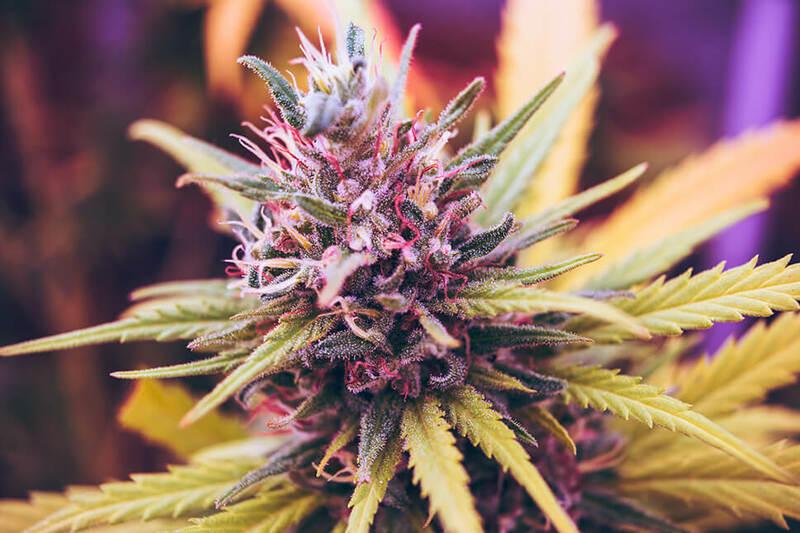 Although clinical research between the simultaneous use of THC and CBD is still in its infancy, there are still MANY studies showing how the use of both in balanced proportions produces less anxiety in patients. But not only this, CBD also shows to enhance THC’s painkilling and anti-cancer properties, where together, they also show to stimulate neuro-genesis, the creation of new cells in the nervous system, among others. 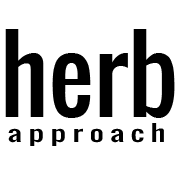 A common therapeutic strategy seems to be administering consistent and measurable doses of CBD, with as much THC a person is comfortable with. But the reality is, we are all so different when it comes to our ECS and biology. Some conditions and patients respond great to a small dose of CBD with little THC, while others respond even better with a more balanced ratio of 1:1. In addition, different CBD vs THC ratios can also be used at different times of the day. However, at the moment of this writing, research seems to show that a THC vs CBD ratio of 1:1 provides the most therapeutic relief across wide categories of ailments, while having the least adverse effects like paranoia and anxiety. Additional ailments alleviated also include: insomnia, chronic pain and muscle spasms, autism, cancer, fibromyalgia and skin diseases, to name a few. Now that you’re more familiar of the roles CBD and THC play, how do you decide which one is right for you? This proves to be a trick question because as we’ve seen, the 2 work as a dynamic duo for targeting a plethora of ailments. But the truth is, that’s not the case for everyone. Take the FDA approved Epidiolex for example. This drug, being in the form of cannabis oil is 99% CBD, and is proven effective for severe epilepsy in both children and adults. Figure 3: Cannabis plant under an electron microscope. 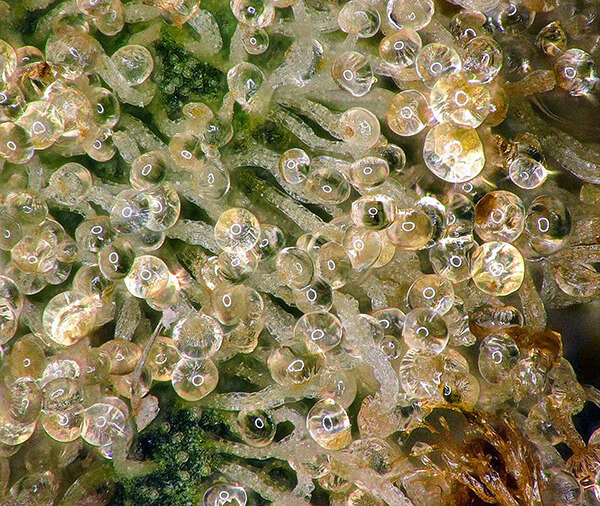 This enhanced picture shows the surface of a cannabis plant. The purple bulbs are its trichomes. So, if you’re having trouble deciding whether THC or CBD is right for you, here’s a basic guideline to follow. While THC alone has many amazing health benefits, it’s becoming more clear that when coupled with CBD, its benefits are taken to another level. With CBD’s lack of psychoactive effects, its use as a medicine provokes FAR less scrutiny than it’s partner. 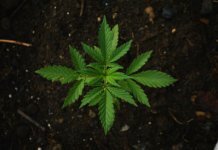 But when all is said and done, the bout between CBD vs THC is only surface level, as co-operation between the MANY cannabis compounds are showing greater promise. Meerkus is a writer, photographer and cannabis enthusiast. Exploring the medicinal benefits of cannabis from a young age, Meerkus has had plenty of exposure to the marijuana industry. Why Does Marijuana Have THC?